PHOENIX has yet to acquire the services of an import for the PBA Commissioner’s Cup. 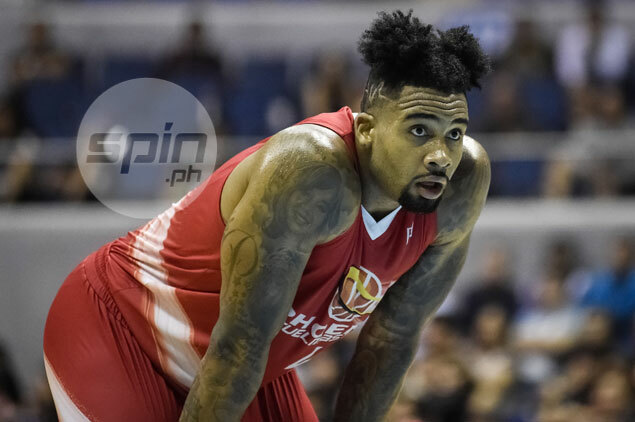 The Fuel Masters were supposed to fly in Jarrid Famous last Monday when the league informed them that GlobalPort still holds the rights to the prolific American slotman who averaged 30.2 points and 23 boards in nine games for the Batang Pier in the 2015 Governors’ Cup. “We thought, because it was 2014, (GlobalPort's rights) already lapsed, but it turned out there was no unlimited (height) import (parameter) after 2014, so they still hold the rights,” Phoenix coach Ariel Vanguardia told SPIN.ph. “We asked them to release, but they say he’s their back-up (import),” he added. To add to the team's woes, the Fuel Masters’ second choice after Famous, Brandon Costner, has already signed to play in Puerto Rico. It’s definitely a setback for a Fuel Masters side that just finished a one-week training camp under American and Nigeria Olympic coach Will Voigt. “It is (a setback), because we were expecting Jarrid to be with us when coach Will was here, and it would’ve been a good fit,” Vanguardia said. If all else fails, the Fuel Masters have a definite backup plan in Eugene Phelps, who led them to their first postseason appearance in their young franchise history, in the last Governors’ Cup. Vanguardia said Phelps is still playing in Taiwan, but will be available in the middle of the month with his team in playoffs, although down 1-0 in a best-of-five series against the top-seeded team. “Phelps will be available mid-March so he could be our guy if nothing comes out this week or next,” Vanguardia said. Asked if the Fuel Masters are at a disadvantage signing the 6-foot-5 Phelps in a conference that allows teams to tap services of imports as tall as 6-10, Vanguardia was hardly worried.